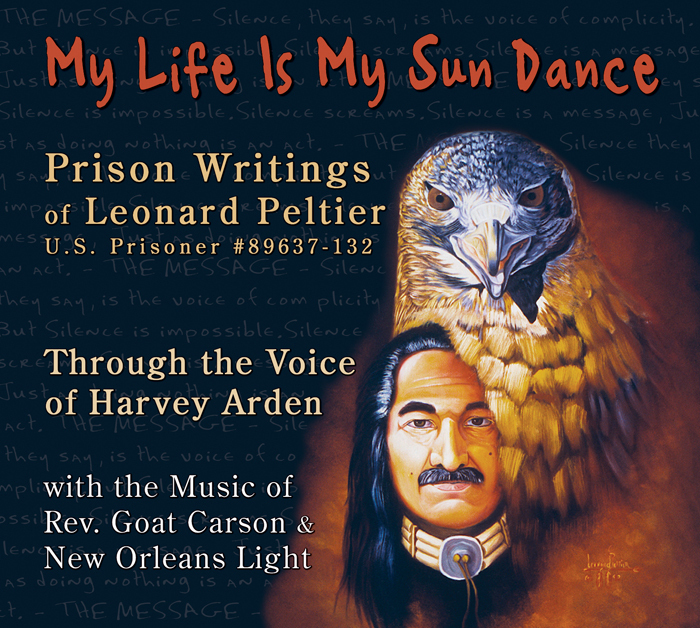 This Audio CD consists of readings from Harvey Arden (from Leonard Peltier's book, "Prison Writings - My Life Is My Sun Dance") with the music of Rev. Goat Carson & New Orleans Light. The release date of June 26th (2010), marked the 35th anniversary of the tragic shootout at Pine Ridge Reservation. This CD won the 2011 Native American Music Award (NAMMYS) for Best Spoken Word Recording! Big thanks to David Lee and Jeff Foreman for their work in recording and arranging the music on the CD. 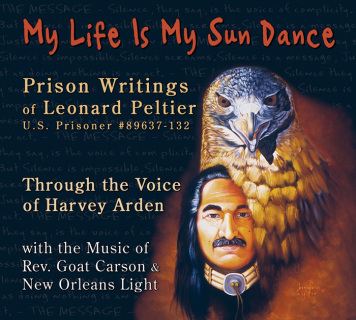 We invite you to take a journey into the words of Leonard Peltier, to more accurately understand who Leonard Peltier is, and what his situation has become - a crucial battle for Justice, Freedom, and the return of a man's life that has been wrongfully taken away from him. Harvey Arden, while working with National Geographic, went to Kyle, on the Pine Ridge Reservation, in February 1983 and met with Mathew, who let Harvey into the depths of his rich history, thoughts, and visions of the world. 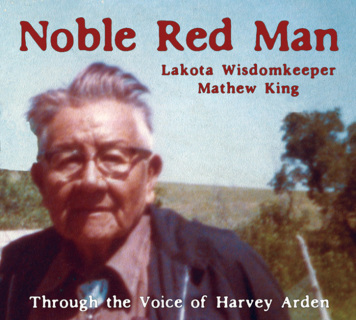 After many years of friendship, Harvey decided to organize and edit a book of Mathew's writings and interviews out, calling it "Noble Red Man". King shares the story of the struggles of the Lakota people, his spirituality, and our personal Instructions and Responsibilities we must follow in life. After Mathew passed on to the spirit world, Harvey spent a great deal of time taking interviews, personal correspondence, and recordings Mathew's family gave him access to, and formed the book into what feels like an intimate conversation with King, himself. When Harvey was asked by David Lee if he was interested in recording readings from the book, he agreed—not only giving a powerful spoken-word performance of Mathew’s transformative words, but adding his own moving first-hand memories of meeting and getting to know Mathew. These one-of-a-kind recordings have now been put into a CD, with haunting accompanying music by composer Jeff Foreman. With great pride HYT now releases this truly extraordinary CD, titled "Noble Red Man - through the Voice of Harvey Arden". Please listen to the music from the album, below and share with all your friends and family!